- David Bowie, "Ziggy Stardust"
For a ten-year-old to whom cricket was all about style, elegance, heroism and nobility, falling in love with Michael Colin Cowdrey in 1968 was even easier than falling off a log. Falling out of love was a far more arduous and disillusioning journey. He had been dropped - as batsman and captain - for the first Test I ever watched, at The Oval in 1966, then suffered injury the following summer, before batting anonymously under Brian Close, his class-war rival, against Pakistan. Never had his star seemed dimmer. 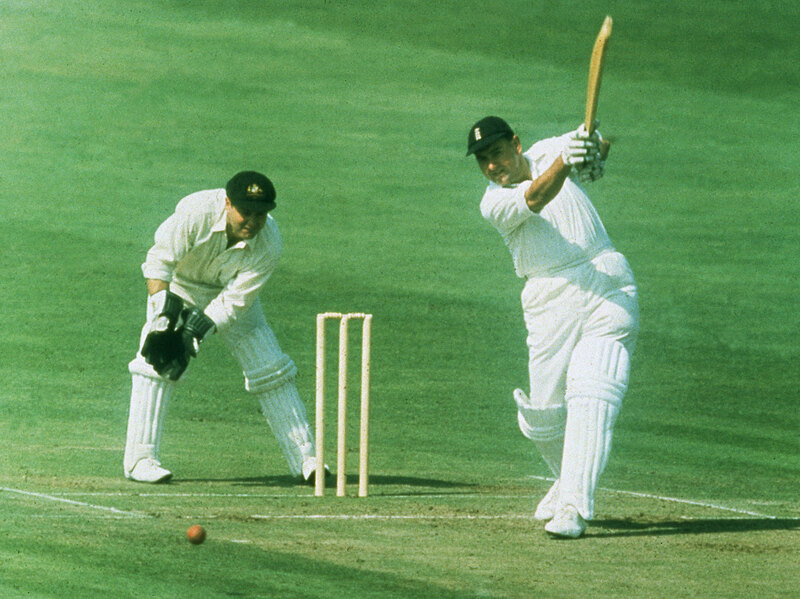 Yet come the final act of the 1968 Ashes, there he was, right there at the top of the toppermost, the zenith of a playing career that - for all that he became the first man to collect a century of Test caps, for all that few if any men have ever bisected cover and point so deliciously or effortlessly - never achieved the summits it should have. In early 1968, at the umpteenth time of asking, he had finally made a fist of the captaincy - inherited by default after the MCC bigwigs decided that an uncompromising bloke like Close might incite or inflame riots. In leading England to a thoroughly unexpected series win in the Caribbean, Cowdrey had, admittedly, been aided by a relatively generous declaration in Trinidad by Garry Sobers that many believe was made out of pique at the sluggishness of his opposite number's over rate. Whatever the whys and wherefores, nonetheless, it was a tour that showcased what Cowdrey might have achieved had he felt more self-assured and possessed greater ruthlessness. Reproducing the silky defiance he had displayed in the same islands eight years earlier, he amassed 534 runs at 66.75, including two centuries, a match-saving 82 in Georgetown and a match-winning 71 in that decisive encounter, hailed by Alan Knott as "the best attacking innings I ever saw him play". Trevor Bailey's enthusiasm has lost none of its resonance: "When he is in the mood… I want to measure his bat, because it seems so much broader than anyone else's and gives forth an especially melodious sound." Never had his star glittered brighter. The following summer brought the icing - 104 in his 100th Test, against Australia no less, a 100th Test catch, and a dramatic series-squaring win at The Oval that might have been an Ashes-wrester but for the weather - yet from then on the decline was precipitous, accelerated by the snapped Achilles tendon that robbed him of the captaincy in 1969. Ray Illingworth brought a more proactive attitude to the job, not to mention a shrewder brain and far more faith in his own judgement, and so it was that, come Cowdrey's fifth Ashes tour, in 1970-71, he was passed over yet again for the captaincy. More significantly, despite putting younger team-mates to shame when recalled to face Lillee and Thomson in 1974-75, his last 20 Test innings yielded a top score of 54. The problem with Cowdrey was that the more I delved, the less I wanted to know. Who actively wants a hero to be undressed as a squanderer of talent? According to Geoff Boycott (though Cowdrey denied it) he was "inclined to bat for a draw" when tea was taken during that Port-of-Spain run-chase, with England 73 for 1 and needing a further 142 in 90 minutes. However many years had passed, it was all so disappointing to read. The career figures, moreover, removed any suggestion of greatness. Yes, he did overtake Wally Hammond - to whom he was ritually likened - as his country's most prolific batsman; yes, he shared England's record stand for any wicket (411 with Peter May); and yes, he struck a century of first-class centuries, but none of those record-equalling 22 Test tons was a double, only five came against Australia - against whom he averaged 34 - and none improved on his very first three-figure score, an innings seemingly as auspicious as any in Test annals. The bare bones are sufficient to inspire awe: coming in at 21 for 2 in Melbourne on New Year's Eve 1954, Cowdrey, just turned 22, made a chanceless 102 out of England's 191 in his third Test. "What more," wondered a bowled-over EW Swanton, "can be asked of youth than that?" The question, then, is twofold: why did Cowdrey never improve on that MCG knock, and why did that halo get so tarnished? No one could doubt his physical courage. Opening against his own wishes - he felt temperamentally unsuited to such a promotion - against Wes Hall in 1960; emerging from the pavilion, broken left arm in plaster, ready to face the same intimidating bowler three years later; bantering with Lillee and Thomson: all assuredly testify to that. To Swanton, his key attribute was "an utter calmness of nerve", yet in the long run, it seems clear he was undermined by the insecurities of his youth. How else to explain the perpetual technical adjustments and interminable navel-gazing? To the cricket writer and poet Alan Ross, Cowdrey "narcissistically declined to disfigure his own reflection"; Ted Dexter also blamed the quest for perfection; Jim Laker sensed a timidity and didn't mind bowling to him "because I knew he would not try to hit me out of the attack". It went deeper than that. Here, it should never be forgotten, was an only child sent to boarding school in a foreign land at a tender age, one who never saw his parents for seven of his formative years because his father worked in India (Cowdrey's birthplace). Can we wonder at the inner uncertainty and eagerness to please that would enhance his popularity as ICC chairman but blight both his run-making and his captaincy? If those insecurities were behind the failure to fulfil the promise of Melbourne 1954 - that, bar Jacques Kallis, no other Test batsman has been dismissed so often between 100 and 115 says plenty - then they also dictate why he was more follower than leader. 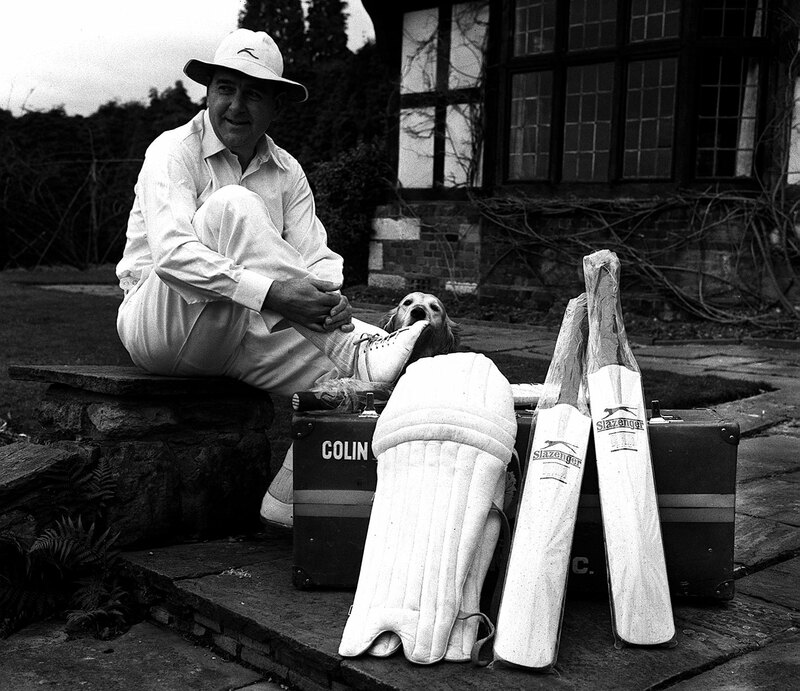 He claimed in his autobiography, MCC, that, had England not lost the Lord's Test of 1961, "I might have begun a long reign of leadership and so avoided the many rumpuses and embarrassments of the next few years." It was a very big if. In all, he led his country 27 times, winning twice as many Tests as he lost, but a defensive approach meant that the selectors only ever saw him as a stand-in. "I always felt he was a bit shy and needed someone to push him," reckoned Len Hutton, his captain in 1954-55. Nor were the best two England captains of my lifetime fans of his leadership. Illingworth felt he "was condemned to ultimate failure as a captain through essentially being an amateur trying to make himself a professional". Mike Brearley admired his intelligence, charm and generosity, but "he was not a good captain because his problem was himself; he lacked decisiveness and was too concerned about how things (and he) looked". May called him his "conscientious vice-captain", a nod to Cowdrey's devoted Christian beliefs, and that eagerness to please led inevitably to confusion, pain and perceived betrayal. Democracy is all very well - and young players at Kent were honoured, if a tad confused, to be asked their verdict on what to do whenever the toss was won - but Ken Higgs and Basil D'Oliveira are two players who had especial reason to feel let down by Cowdrey's wariness of plain speaking, especially when it came to communicating bad news. Despite speaking out against apartheid, he was fervent in his desire for the 1968-69 South African tour to go ahead; his role in the D'Oliveira affair was equivocal at best. At bottom, Cowdrey was a man out of time. The days of England being captained by public schoolies and Oxbridge lads were drawing, however slowly and reluctantly, to an unlamented end. He was also a cautious cricketer during an era when adventure was sorely needed, not to mention a selective walker, doing so only when it suited, i.e. when he had made a fair few and only when he felt he was out, regardless of any dissenting views from chaps in white jackets. 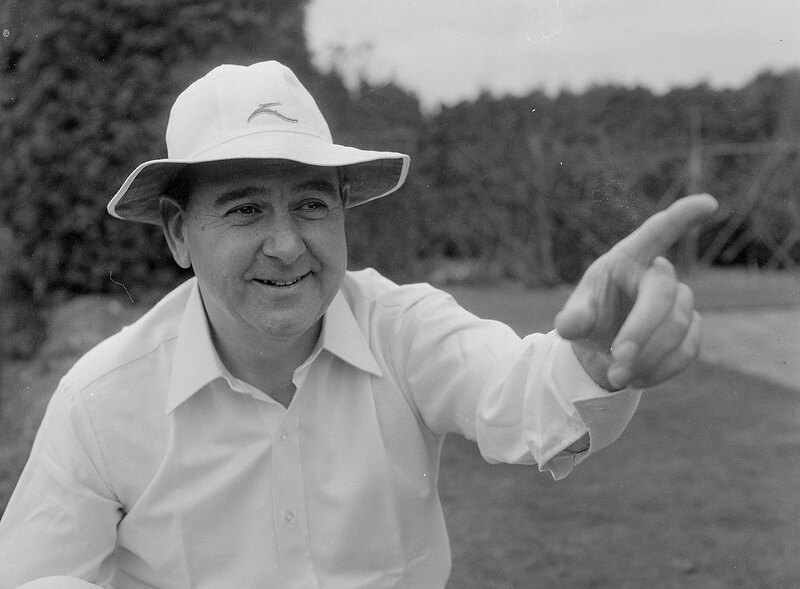 Few contemporaries could stare at an umpire so witheringly. Quite why MCC named its Spirit of Cricket Lecture in his honour remains elusive. "I have to go now with a first-class career coming to a close," begins the endearingly revealing final paragraph of MCC. "It has been like tackling a vast jigsaw with a number of vital pieces missing. It has always been a search for the undiscoverable, getting warmer all the time but with never the slightest chance of mastery." Throw in a scarring, all-too public divorce, a second marriage, to the daughter of a Duke (and former Archbishop of Canterbury), and it is clear that being Michael Colin Cowdrey was never remotely as easy as his initials or his strokeplay suggested. "A morass of values, traditions and complexities merge in this deeply perplexing man," concluded the scrupulously fair-minded Ivo Tennant, author of The Cowdreys. But boy, when the stars were aligned, could he play a bit. At 41, Cowdrey gamely took on Lillee and Thomson, because how could he not?